Hand-over plan. Written confirmation from a parent or legal guardian is required (plan for handing over the care. e.g. whether the student is going to another school, the student is going back to his/her country, whether he/she is going to travel etc). NOTE: Designated caregivers are family or close family friends chosen by the legal guardians of the under 18 year old student. Not chosen by their agents. They must be approved before they arrive in NZ. If the caregivers do not meet the ICL/AEA standards, the school will place all U18 students with ICL/AEA registered homestays. 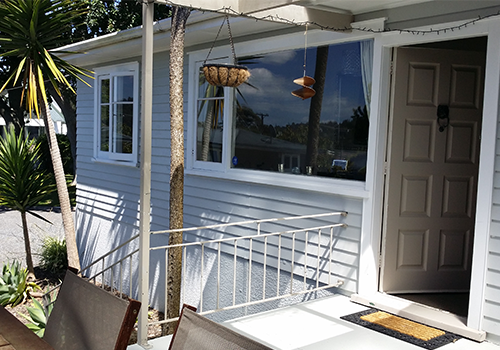 Inspection– The Accommodation and Welfare Officer will visit the home of the designated caregiver to determine that the living conditions are acceptable. If the designated caregiver is approved, the Accommodation and Welfare Officer will maintain regular communication with the designated caregiver. When the parents/legal guardians are already living in NZ or accompanying an under 18 student, they are encouraged to attend the orientation with the student and campus tour. All under 18 students will meet with the Accommodation and Welfare Officer on a regular basis. At these meetings, students can share any and all issues they have regarding accommodation, or their general happiness both in and outside the classroom. The Accommodation and Welfare Officer will contact the parents/legal guardians on a regular basis. The feedback form is sent out by e-mail. This testimonial was witten on 27/7/2017. We have partnered with Comprehensive Care and promote “Quit Smoking Programme” funded by NZ, to help students who need assistance in quitting. All our homestay families are regularly inspected. The inspector visits the family homes, interviews the family members, and ensures that they are suitable for our students. Students who require accommodation should request their homestay accommodation at least two weeks prior to starting their programme. The cost is around $270-$290 per week and there is an initial placement fee of $250. The average time for students to commute from homestay to school is about 1 hour – 1.5 hours. If the school arranges homestay accommodation for you, the minimum period will be four weeks or the full course if shorter. The homestay fee for this period and the placement fee are non-refundable. The School will only book your homestay after receiving your flight details. Once the accommodation is confirmed the placement fee and first month’s accommodation are non refundable. If you need to leave your homestay family because of an emergency, you must contact your first language support staff or the Accommodations Officer immediately. After a few weeks or months of homestay, you may decide that you can manage on your own or you may decide to share a flat or house with others. You should try and share with people who do NOT speak your language so that you can practise English. Check the cost of rent, food and transport and make sure you can afford to change your living arrangements. The advantage of an apartment is that it can be much closer to school and gives you independence. If you are a student looking for a rental, it is worth discussing upfront with your prospective landlord where you stand on the topic of a shorter term lease or ending a fixed-term lease early. Fixed-term tenancy agreements are usually for 6 or 12 months. 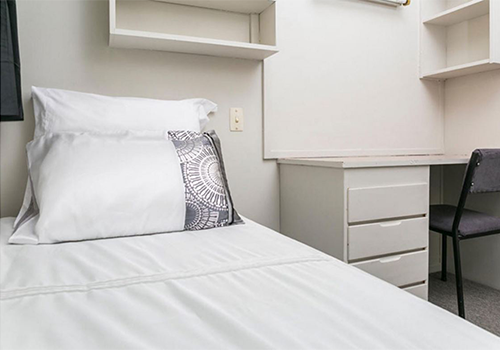 However, many students only want to rent for the academic year (usually February to November) which can cause issues when they want to end the tenancy early to avoid paying rent over summer when they are not there. It is important to remember that student tenancies are covered by all the same rules as other tenancies and that all tenants are legally obliged to fulfill the full length of their fixed-term agreement. You can reference the Ending a fixed-term early page on Tenancy Services for more information. Any conditions added by the landlord must not be in conflict with the Residential Tenancies Act. Please contact the accommodation provider directly for information on booking, availability and tenancy costs. Auckland English academy has agreed to observe and be bound by the Education (Pastoral Care of International Students) Code of Practice 2016. The Code is available from the NZQA website. 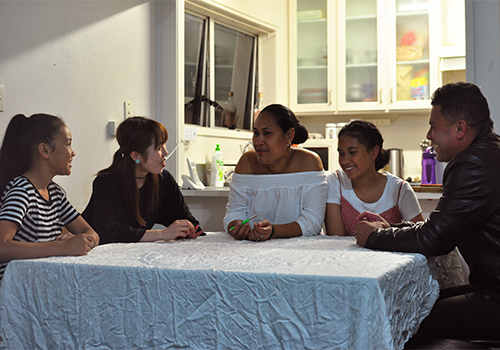 When students from other countries come to study in New Zealand, it is important that those students are well informed, safe, and properly cared for. New Zealand educational providers have an important responsibility for international students’ welfare. This summary provides an overview of ‘The Education (Pastoral Care of International Students) Code of Practice 2016, and provides a procedure that students can follow if they have concerns about their treatment by a New Zealand educational provider or agent of a provider.